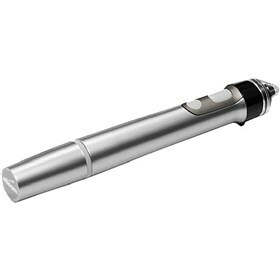 The NEC NP01PI is an eBeam interactive stylus pen that works in conjunction with the eBeam system and software. It converts a standard whiteboard into a complete interactive surface for annotation and collaboration locally or via web meetings. The NEC NP01PI has many exciting features for users of all types. The NEC NP01PI is sold as a Brand New Unopened Item.